The Gold Medal Super Pop Maxx 16 offers the best of all worlds. This popcorn poppers' greatest feature is the fact it's a 16oz kettle machine with standard plug wiring. This means you can plug this machine into any standard 15 amp circut. The Uni-Maxx® popcorn machine has a unified kettle and heat element to permit the lowest possible energy consumption with maximum popping capacity. The Heated Corn Freshener Deck keeps the popcorn warm and lasting longer. All stainless steel construction and lift-out glass for easy cleaning. Find out why the Gold Medal 2600 Super Pop Maxx is super popcorn machine workhorse. The Gold Medal Super Pop Maxx 16 offers the best of all worlds. This popcorn poppers' greatest feature is the fact it's a 16oz kettle machine with standard plug wiring. This means you can plug this machine into any standard 15 amp circut. The Uni-Maxx® popcorn machine has a unified kettle and heat element to permit the lowest possible energy consumption with maximum popping capacity. 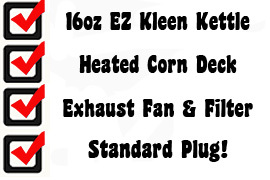 The Heated Corn Freshener Deck keeps the popcorn warm and lasting longer. 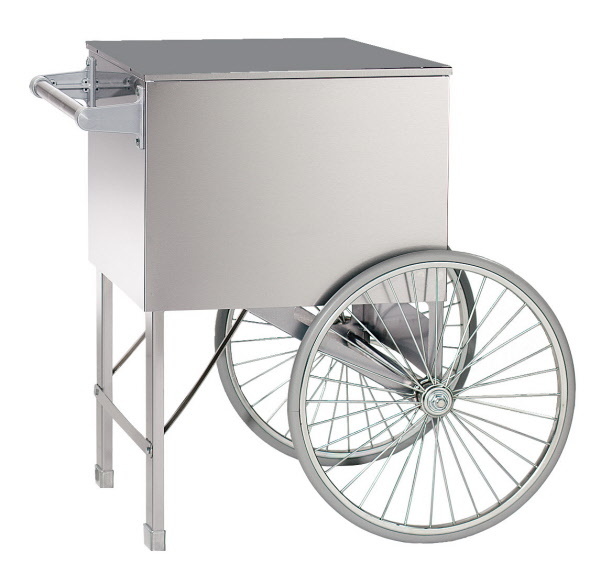 All stainless steel construction and lift-out glass for easy cleaning. 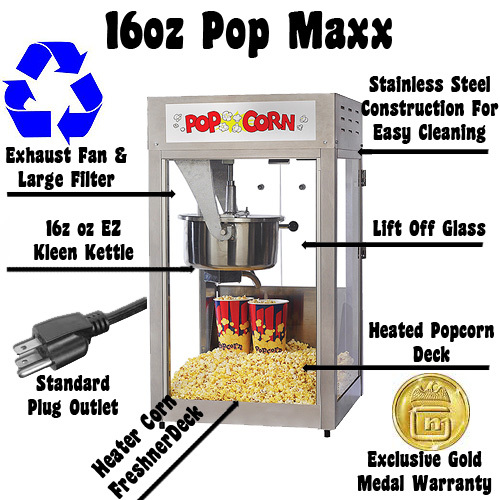 Find out why the Gold Medal 2600 Super Pop Maxx is super popcorn machine workhorse. This machine is oversized and best if shipped by truck. To avoid additional ship charges, please call to place order and discuss shipping options. Perfect for your Gold Medal popcorn popper shown above. Stainless steel body. Moves easy with large wheels. Requires assembly.